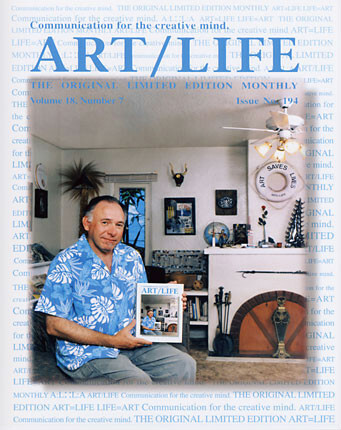 Joe Cardella, was a unique artist in his own right; he created ART/LIFE, a limited edition fine art magazine, that ran from 1981 – 2006. Each issue was comprised entirely of original poetry and fine art, hand signed by each contributing artist. The magazine was available at many respectable institutions such as the Museum of Modern Art, the Art & Architecture Library at Yale University and the Jeu de Paume in Paris. In addition, ART/LIFE was the best-selling periodical at the Guggenheim Museum bookstores in New York. This unique magazine was one of the longest running fine art publications in existence. Joe Cardella’s documentation took place in 1997. The FOTM Archive contains extensive information about this artist.